When you know you need a new barn, the first step is choosing the design. 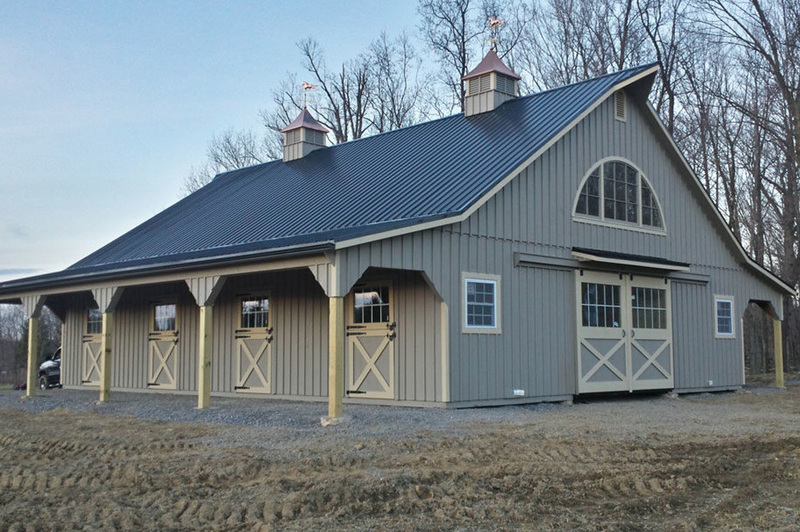 Two of the most popular horse barn designs are center aisle barns and shed row barns. 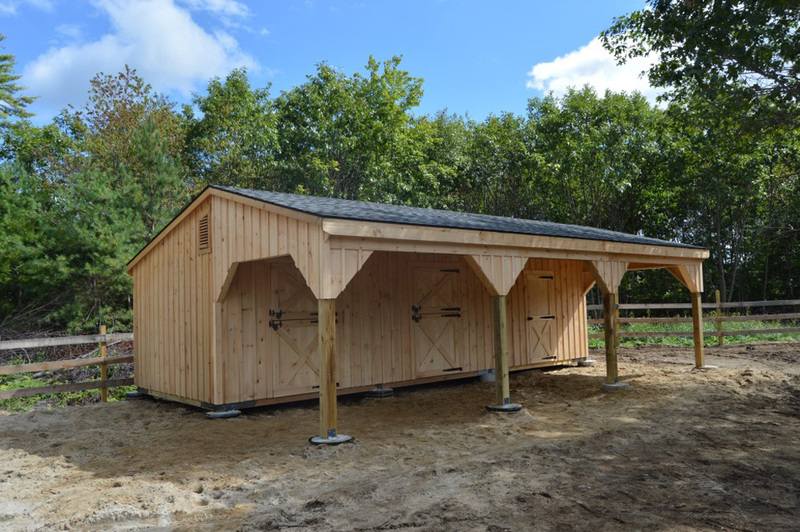 Both of these structures have a distinct visual look while providing a series of practical benefits for horse farmers and equine enthusiasts. 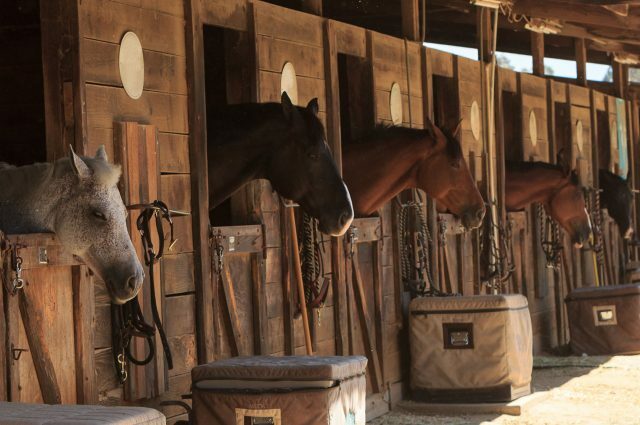 Learn about each of these great American-style horse barn designs, find out which one is right for you, and feast your eyes on some gorgeous examples of each. There’s really no right or wrong answer. Whichever you choose, chances are you’ll be satisfied with either of these classic horse barn designs. Center Aisle Barns — A more traditional design, center aisle barns feature two rows of stalls on either side of an open center aisle. These barns can either be one or two stories. Center aisle barns can be seen dotting the country side and they pack many practical advantages for horse farmers. Two rows of stalls — With the aisle in the center, this large barn allows you to have twice as many stalls, meaning you can house twice as many horses. 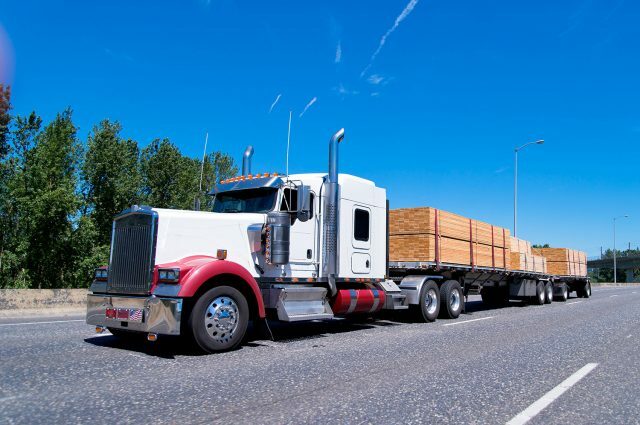 This can be a crucial benefit if you often board numerous horses at once. 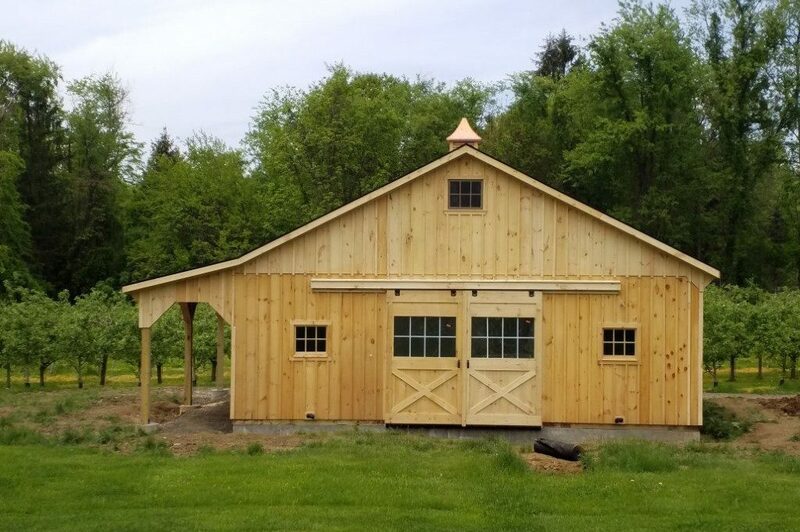 You can work in your barn in any weather — Since the main center aisle is fully enclosed, you can work in your barn in any type of weather, even heavy rain. 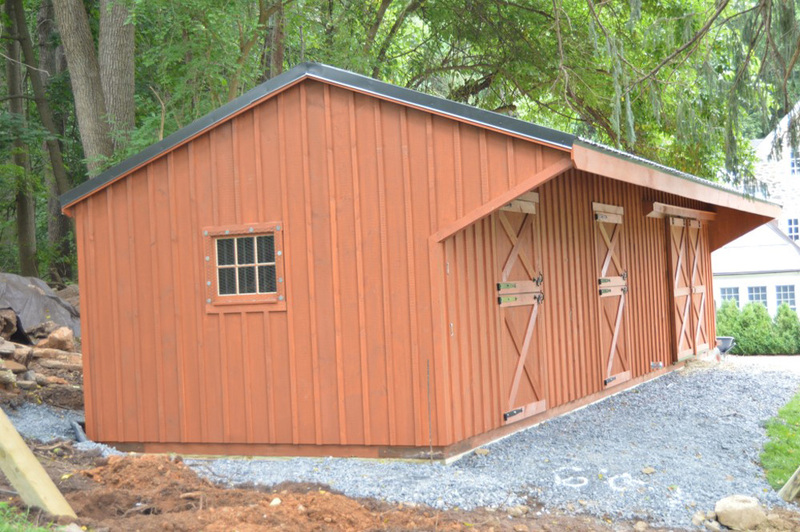 While shed row barns come with lean-to overhangs, they don’t provide the same all-weather protection. 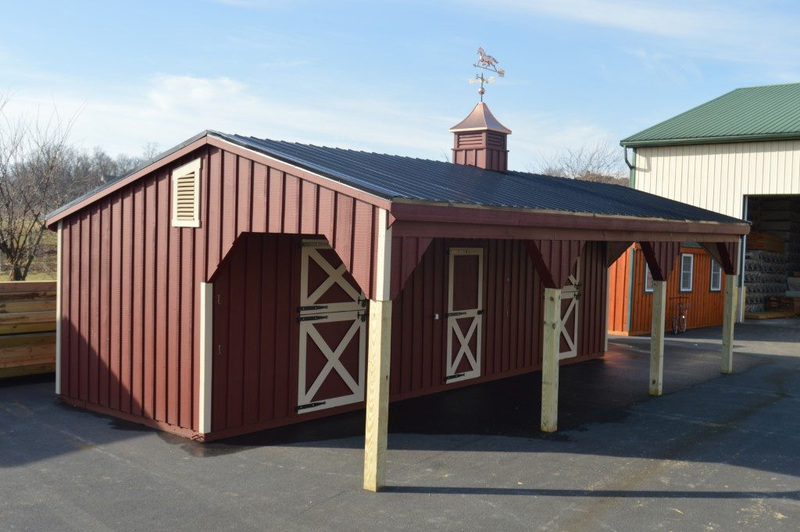 Extra area available for a tack room – Since center aisle barns are very large, you have ample space for hay storage and a tack room. Quintessential rustic look — Looks aren’t everything, but they can count for something. A center aisle barn has the classic look and style you think of when you think of great American horse barns. 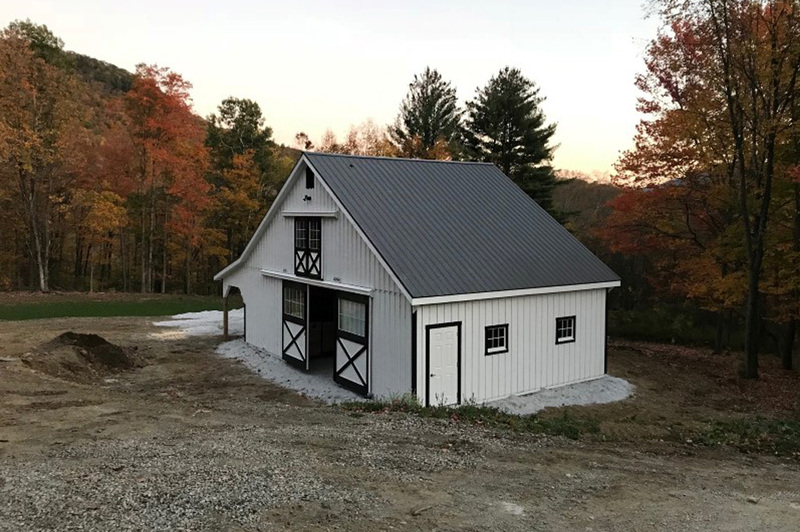 Available in two stories — Center aisle horse barn designs are available in either one or two stories. This can be crucial if you want to enjoy a loft in your barn for extra storage and convenient hay distribution. More expensive — Since center aisle barns are bigger and contain a more complicated design, the price increases comparatively. 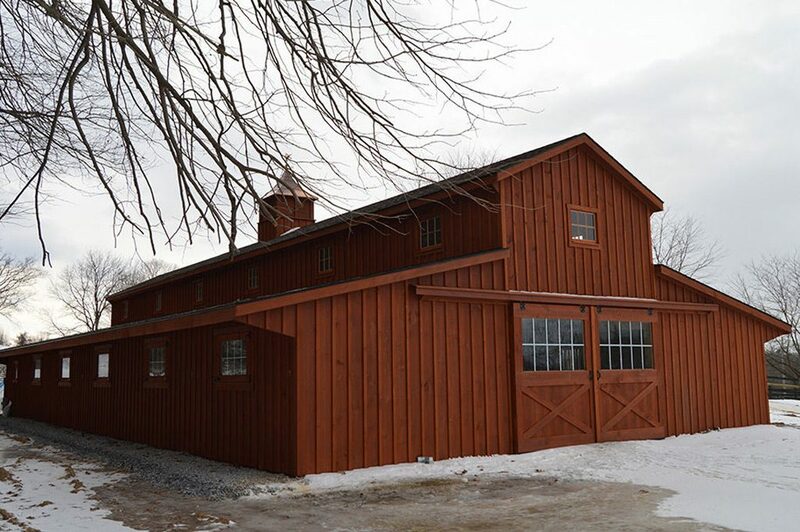 Requires careful ventilation — Since this horse barn style is more built-up, the construction requires more careful ventilation in comparison to a shed row barn. However, at J&N Structures, we ensure your modular barn is built with the correct ventilation. Less natural light — Once again, since center aisle barns block the outside, they feature less natural light. This often requires outfitting your barn with full electric lighting. 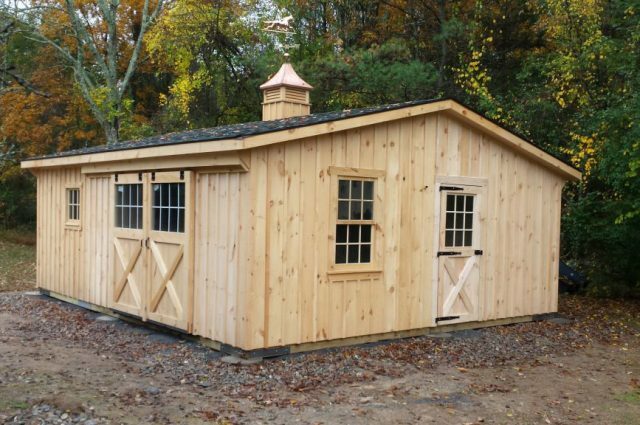 Shed Row Barns: Another style of horse barn design, shed row barns feature a row of side by-side stalls, exposed to the outside. Protected by a lean-to, these barns are smaller and have a less built-up profile than their center aisle counterparts. Best price – Since shed row barns are small and built with a streamlined design, they come at a more budget-friendly price. This can be a great way for farmers and horse enthusiasts to get the high-quality storage and housing they require. Ample natural light – The open design of shed row barns provides the horses with healthy ample natural light — electricity is not required. Plenty of Ventilation — Since shed row barns are much more open, the design makes open-air ventilation easy. 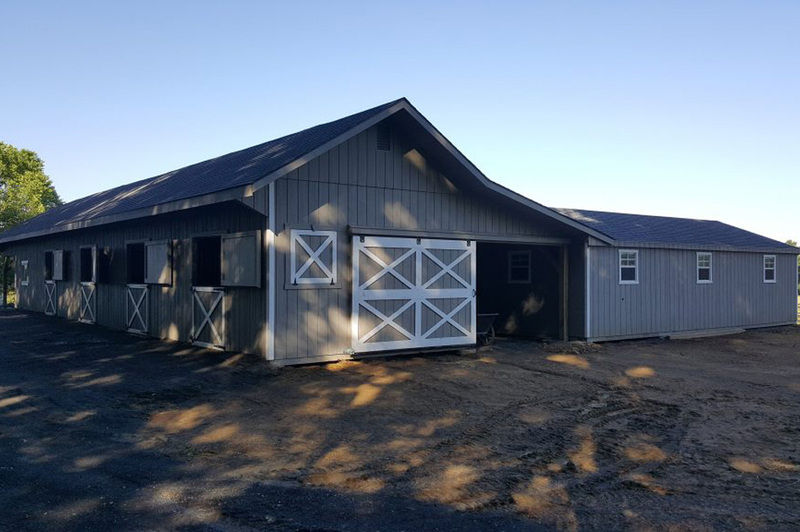 Less space – An all-around smaller horse barn design, shed row barns offer less space for horses and less space for storage. However, for some farmers with a small operation, this isn’t a problem. 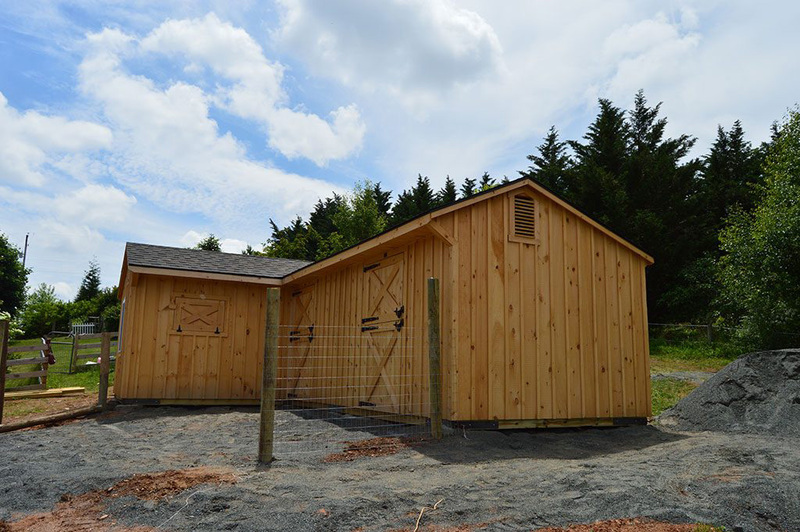 Limited to one story – Shed row barns can’t accommodate two-story construction. However, if you won’t use a second floor, it doesn’t make sense to pay for it. Exposed to the elements – Unlike center aisle barns, shed row barns are basically outside. While that might not be a major factor on a beautiful sunny day, it can make working during a storm miserable. The limited overhang can help with some rain, but it won’t offer much protection during a serious downpour. Whether you want to build a center aisle barn or a shed row barn, J&N Structures is the team to trust. 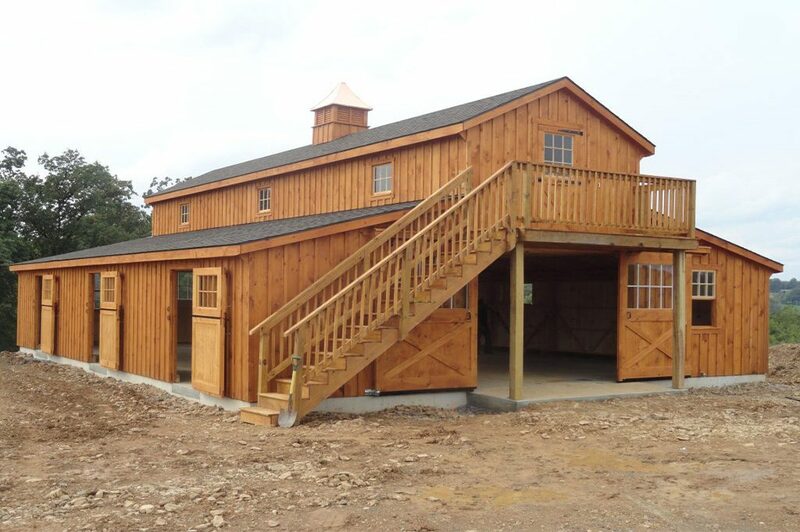 We build durable and stylish modular barns and other structures that can be seen across the country. 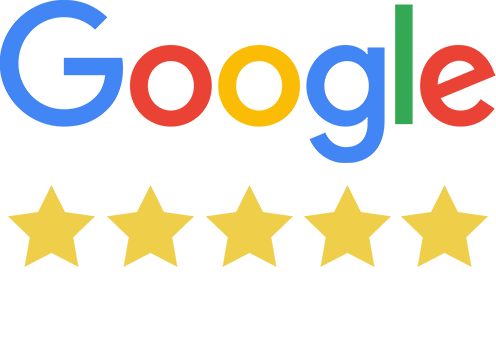 Whether you want to get your barn quote or need some more information, your first step is to contact an exclusive J&N dealer. Start the conversation today.